TomTom have just launched a new 6″ car navigation unit packed with features and a big, high-resolution display that will become a must for truck drivers, people with big hands, or whose eyesight means that a the new big clear display will allow them to relax a bit more when they are driving. It also comes with 12 quarterly GeoSmart map updates and a free map of Australia. Find out more about it on our Facebook page. TomTom also came up with some interesting research that whilst most Kiwi’s dream of having a tropical island holiday, nearly half of Kiwis (48%) prefer to have their holiday in New Zealand, followed by Australia (21%). The Coromandel, Bay of Plenty and Auckland being the hotspot destinations. New Zealander’s appear to be the least nature-loving holiday-makers in the world with the smallest amount (14%) of respondents saying they go on holiday to commune with nature. A Kiwi’s favourite part of the holiday appears to be shopping with 66% of respondents keen to browse the shops, over options like visiting beaches (58%) and restaurants (54%). New Zealanders are also some of the easily frustrated when they get lost (22%), nearly twice the global average (13%) and only a close second to our Aussie neighbours (24%). Ms Cross knocked the hammer squarely on the head, (especially for the Kiwi male) noting “It’s a real Kiwi trait not to ask for help when travelling by car. 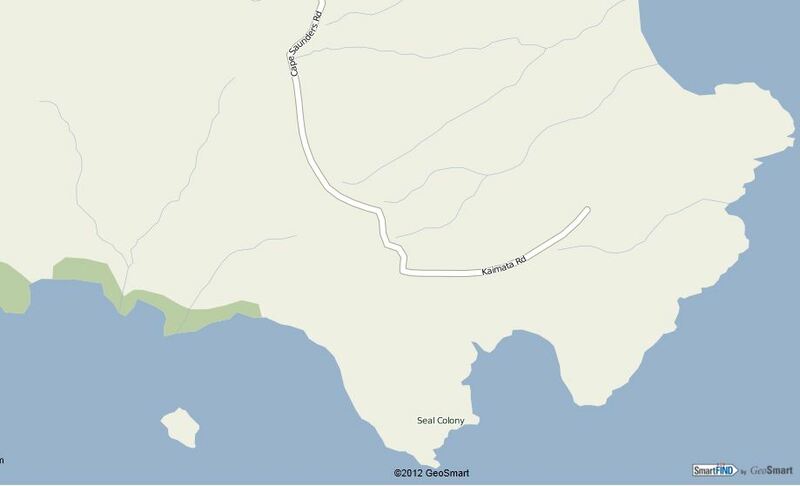 Of course our GeoSmart maps road data and Points of Interest are continually being updated with everything from beaches and bays, parking and rest areas, public toilets and ATM’s through to every kind of shop, attraction, place to stay and much more. Your nav really is your travel partner, calmly guiding you to your destination so that you can relax and enjoy your stress free trip. For a long time we have been encouraging our business partners to look at developing applications and devices to track elderly people, people with memory impaired conditions such as dementia, blind, autistic and others. There have been many challenges in this area because these devices are often a little on the bulky side and need daily charging due to the power constraints of batteries used for communications and GPS. Designing devices that are appealing such as bracelets, necklaces that people are prepared to wear has been a challenge. That development goes on and we hope that in the next year or so, we will see some success and demand from the market. There is of course another huge market segment where mobiles are used. We are starting to see a number of applications like Pingbot, which we mentioned on our Facebook Page. 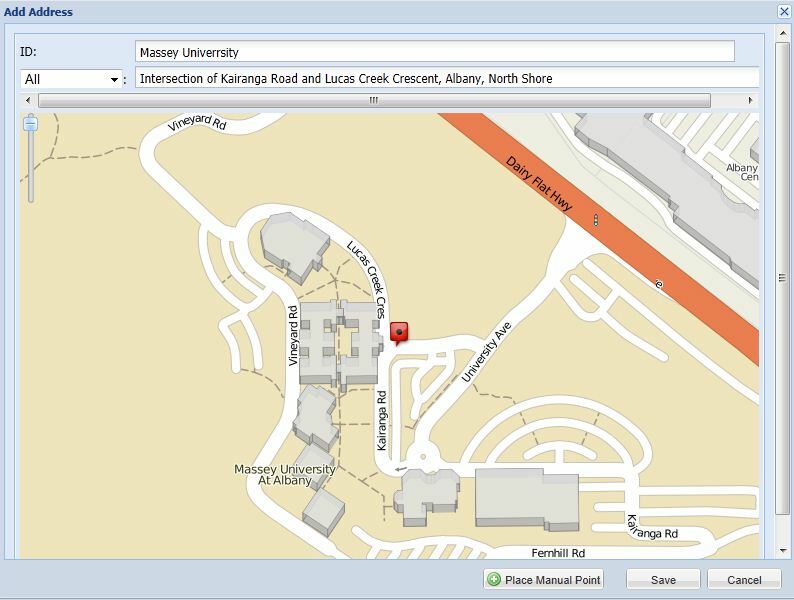 This uses location based services including GPS to identify the location of a person’s mobile, with their permission of course. Effectively with Pingbot, the owner of the mobile has a secret word, effectively like a password that the user can share with those trusted people who may need to be able to find them. Obvious users would be children (most teenage children would not go anywhere without a mobile today), people with some form of disability, injury or medical risk, such as allergies or requiring medication, they may have forgotten to take with them. It could also be a social, sport or other reason for people to be able to find each other, such as a buddy finder environment. The idea of Pingbot is that all you need to do is send an SMS message with the secret word in order to find the location of that person. 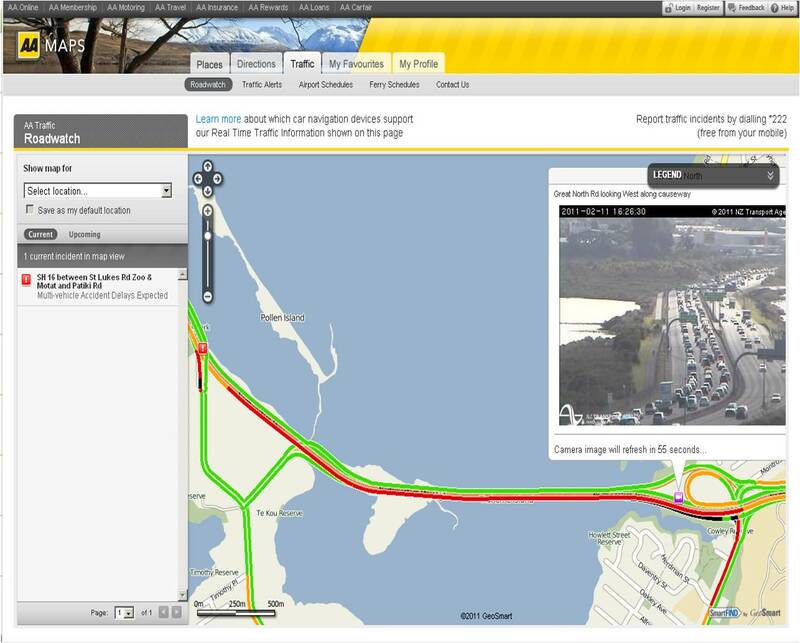 GeoSmart has the web services and API’s to help developers create these types of solution in New Zealand and Australia. This includes highly accurate mapping, accurate turn by turn directions via the fastest route and services such as Reverse GeoCoding, which allows you to send a set of coordinates to our servers, which will return the nearest street address to that location. These sorts of applications were difficult to market in the past because most people didn’t have mobiles with GPS. Today is a different story. It’s almost difficult to find a mobile in a retail store today that does not have GPS. We’d like to hear from developers who would like to help find that child that didn’t get home, the diabetic who went out without their insulin, or the blind person who has become disoriented. We offer a Developer Agreement for free and are local, in your time zone, with real people you can talk to about your application development. Designers Chacha Sikes and programmer Anselm Hook created an exciting online application during the Creative Currency hackathon in San Francisco recently. Called Lemonopoly, the concept is that people can locate lemon trees in their community on a map. The idea is to involve the community is various ways. It may be to help people look after the trees, to be able to share the fruit with other people in the community or perhaps the opportunity for people to sell their lemons. This could work nicely here with organic fruit in conjunction with Giapo, who would of course pay for them in Giapo dollars that people can redeem for their wonderful ice creams and gelato. People can also win points by offering services such as picking and pruning, making marmalade etc. This is a great way for people to be motivated to get more involved in their local community and the gamification aspects make it attractive, tying people in to the concept. 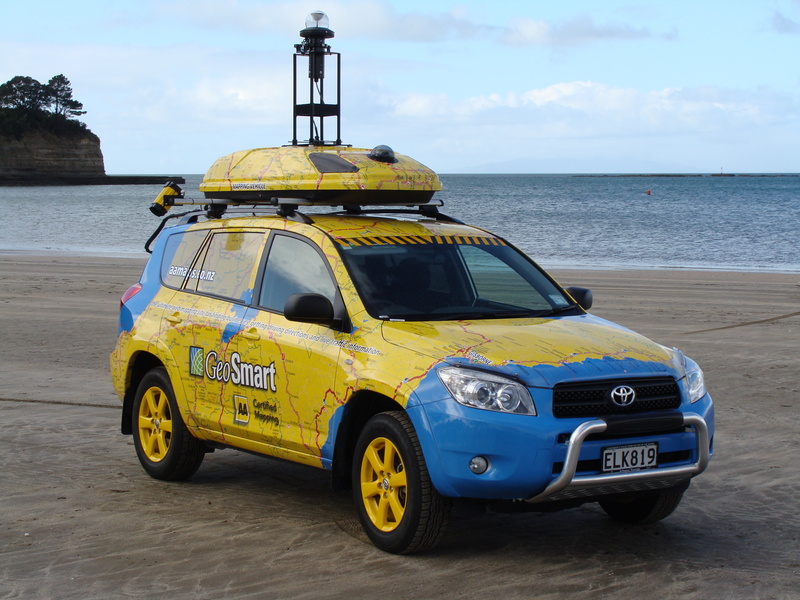 We would love to support local initiatives in developing concepts like this using GeoSmart web map and development tools across New Zealand and Australia. We offer free Developer Agreements and flexible commercial models for developers. Something like this would make a brilliant mobile application supporting local communities. Loyalty cards haven’t fundamentally changed the way they do business for many years. There are the fans and the people who actively look for deals, but most of the people we have spoken to recently have said that the time they realise there is an opportunity is when they are at the checkout and the cashier asks if they have their Fly Buys or whatever card. This obviously is not generating increased sales or revenue. There are huge opportunities for loyalty cards to exploit location with the large number of people now using Smartphones fitted with GPS. Effectively a Smartphone application can therefore identify when a card holder is near a store or participating retailer and can potentially be offered a deal using push technology. We are hugely spoiled for choice these days as retailers flock near each other to try to win your business. For example, if you go to AA Maps and do a search for ‘Hardware Albany’ you will come up with 48 results! 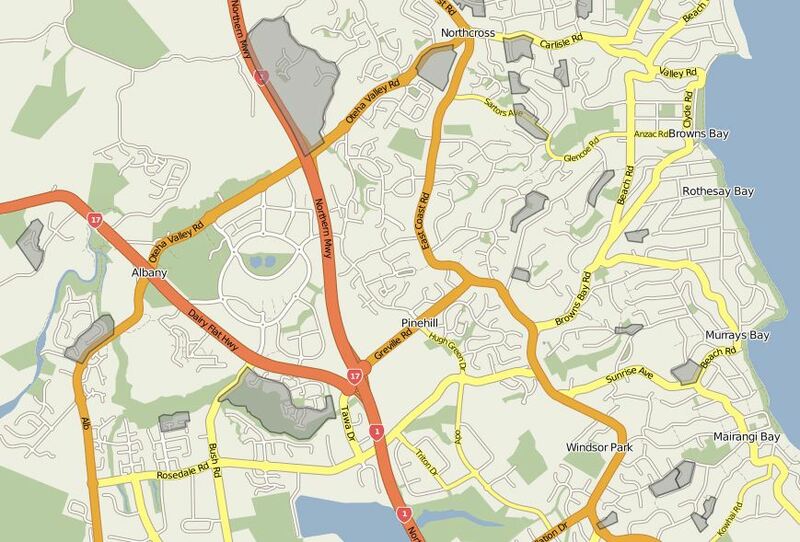 That’s a huge range of options in one area within around a 5km radius. A large number of these retailers spend a lot of money on advertising in newspapers, magazines, letter box drops, eDm’s and much more. Many of them are involved in loyalty card programs which provide additional opportunities for targeted marketing. These are all very expensive media and the approach uses often sophisticated targetting using demographics tools, such as GeoSmart’s BIonaMap discussed in a number of our blogs such as this one using demographics for a lawn mowing franchise. By understanding what your target market is, you can identify the best place to locate your store and which areas are best for letter box marketing. Of course success requires that your target market is open to buy and looking for your product. If a consumer is looking for a lawn mower and your mailer arrives in their letter box, there is the potential that they will visit your store, but how often do they buy lawn mowers and how often do they read your mail drop? The example illustrated here shows homes where the owner occupancy is 70% or greater, a perfect target for DIY sales using BIonaMAP from GeoSmart. In coming blogs I will post examples of how a loyalty card smartphone application using GPS location could integrate with retail Point of Sale systems, inventory management and really understand what a customer is looking for, sending meaningful offers to consumers when they are looking for product and are in proximity. If you make things easy for customers and have a meaningful relationship with you, they will buy your products over your competitors products, but to effectively do that, you (your technology systems) really do need to understand who your customers are and what their needs and interests are. They want to give you their money and it isn’t necessarily about special pricing. Where should you start? Probably by asking what your loyalty card company is doing about proximity based marketing and check ins (which we have discussed frequently on this blog). GeoSmart is keen to support local loyalty card companies and application developers and we are convinced that there are huge opportunities to really bring in serious retail profits and the opportunity to develop genuine loyalty relationships. Who wants an unfair advantage? If that’s you, why not contact us? Feel free to ask questions here or to leave a comment. Bookmark this page for upcoming blogs on how a loyalty card company can use this technology to help their partners win more business. There’s a world championship event going on in New Zealand right now with rugby teams competing for a major cup. Many of the tourists who have arrived in New Zealand or are coming over for the rugby matches have iPhones and or iPads. They may be staying in Auckland or the region the national team they are supporting is based and don’t want to buy a complete car navigation device or a map set for the whole country when they are only staying for days or weeks. The thing with the iPhone or iPad is that it is one of those ubiquitous devices that you keep on your person and navigation isn’t necessarily just about being a driver. It might be about being confident that the way the taxi is taking you is the quickest, or how do I get to the Fan Zone or Rugby Stadium or perhaps one of the REAL NZ Festival events. 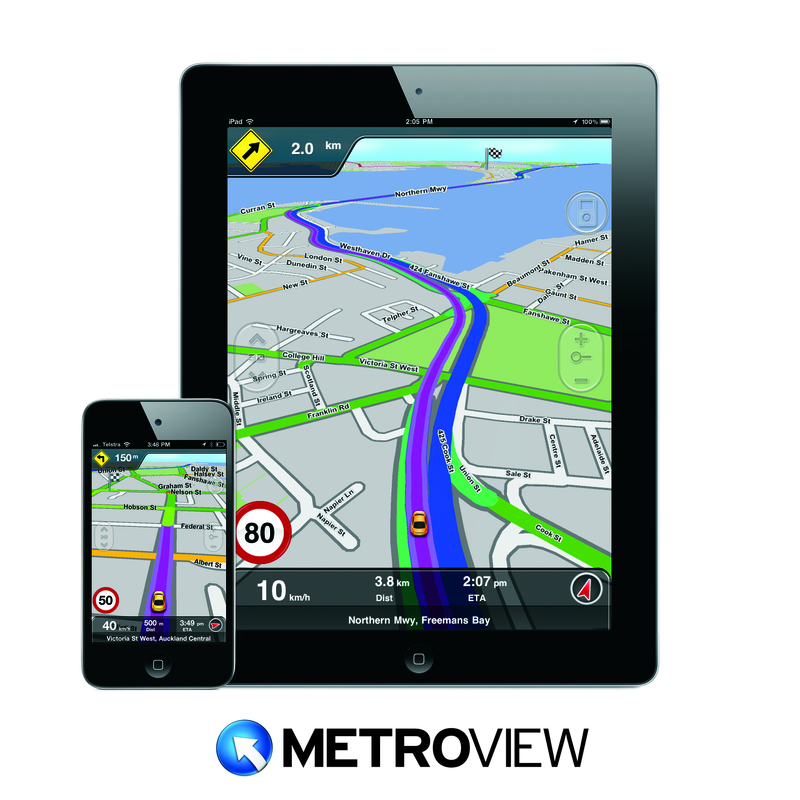 MetroView Systems Pty Limited from Australia has come up with an excellent solution using GeoSmart car navigation maps and Points of Interest data, called MetroView NZ City. Because they are a local (Australasian) company, they are nimble and were able to come up with a product well suited for the rugby tourist, or in fact any tourist visiting New Zealand. Of course there are many Kiwis who don’t need all of New Zealand either, but a real key opportunity is that if you are only coming over for days or weeks. 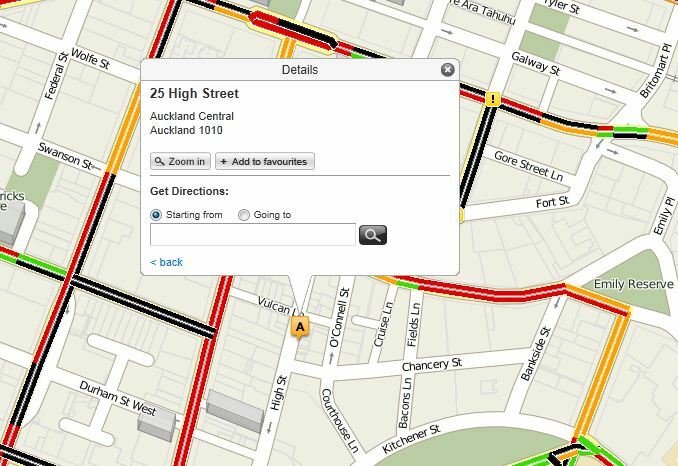 NZ$9.95 for true GPS car navigation on a device you already own is great value. That’s less than the price of 3 cups of coffee! The application, which you can buy from the Apple Appstore has all the Points of Interest a rugby fan is looking for, but lots of great features around the iPhone and iPad as well. For example you can listen to and control your music and podcasts right from within the application using the iPad/iPhone button. If you have appointments (with an address) in your mobile’s calendar, you can navigate directly to them, the same applies to your contacts list. Your music will automatically mute if there is a navigation instruction. It is likely that the concept of buying maps for a single city will become more common in other countries but you saw it here first in New Zealand with GeoSmart data and MetroView software. 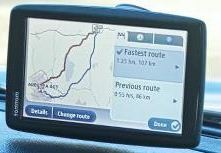 Of course it isn’t just about the rugby, it is full car navigation with the features you are used to using. If you are planning a visit to New Zealand and want to find your way around on your iPhone or iPad, check out this product. I think you’ll find it very useful. We were at the Auckland ICT meeting a couple of night’s ago and it was interesting to corroborate our experience in the field with associates that there is both a chasm between people in the ICT industry and even their own friends and family in retail and other bricks and mortar industry when it comes to use of social media and proximity based marketing. A couple of us presented at the Mobile Marketing Forum last month and felt that we were preaching to the converted and disappointed that only 4 bricks and mortar companies attended the conference when they were potentially the ones with the most to gain from being there. Generally what we found was that businesses either didn’t have a clue what checking in means, or if they did, don’t make the time to understand and utilise what could be a much better tool for them than dumping stock on daily deal type sites. Fundamentally the concept of checking in is to use a mobile application on a smart phone that is location aware, such as Foursquare, to register that the user is at a particular location such as a landmark or a business / shop. The location is verified using GPS or GPS assisted technology in the mobile. There are gaming elements such as badges or points and often tangible rewards such as discounts. People that visit a particular location enough times gain the title of Mayor of that location. What is interesting and most retail business operators aren’t aware of is that this takes place, whether or not they are personally involved, which means people are entering their businesses and creating marketing opportunities, but are not being engaged in this medium. Most applications allow people to leave comments or tips, make ‘friends’ who are also allowed to see their location and make recommendations which could be positive, but could also be very negative. This means that even if the proprietor can’t make time to use these tools to engage and attract business, they may be losing business without knowing it as well. A simple comment such as “The toilets are clean here:(” or “The line was so long, I went next door” could cost not only immediate business, but steer people away long into the future. The applications typically have interfaces to social media applications such as Twitter and Facebook, so the comments, recommendations and otherwise are creating a digital footprint that can be difficult if not impossible to remove. Recent statistics from Comscore this year suggest that around 16.7 million individual people in the USA checked in to locations using Foursquare and similar applications over the first 3 months. This represents around 7% of the total mobile population. Recent statistics in June 2011 suggest that the UK and Western Europe currently sits at around 5%. That is a lot of people. People just like them may be in the area and walking right past your business.